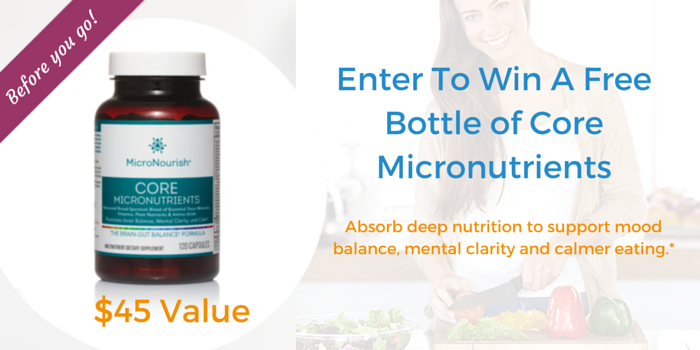 You are here: Home › Articles › News › Resources › Blog › Founder Interview: What Makes MicroNourish Core An Award Winning Brain Health Product? 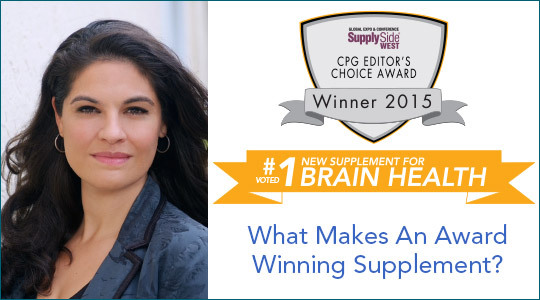 How do you feel after accepting the award for #1 Brain Health Product of 2015? I am thrilled! It was a wonderful experience to represent MicroNourish for the first time at the most prestigious event for functional foods and supplements, SupplySide West. I am passionate about educating people about the connection between micronutrients and mental wellness, and am very thankful to have been given a greater platform to do that. Why do you think the Brain Health Award started this year? I believe, and sincerely hope, the introduction of a Brain Health Award marks a pivotal moment in which people are recognizing that micronutrients and digestive health are foundational pillars for mental wellness. When people are stressed, scattered and moody, I want them to think about mineral and vitamin absorption as the first line of defense. So, why are micronutrients so important for mental wellness? What makes the ingredients in MicroNourish Core so superior? MicroNourish Core was developed based on open-label trials and real-life case studies with people tackling mood swings and difficulty focusing. Since You Are What You Absorb, the micronutrients are delivered in the most bioavailable form, and balanced in synergies for maximum absorption and utilization at a cellular level. Then they are enhanced with botanicals and antioxidants to further maximize mental benefits and ensure the production of clean energy – and minimal metabolic waste – in the brain. Finally, the thing I like most is that all 36 ingredients are in one bottle to remember. For me, that’s the difference between taking my micronutrients and not! What comes next for MicroNourish? Through our magazine and our growing list of partners, we want to set a new paradigm for what it means to be mentally well. 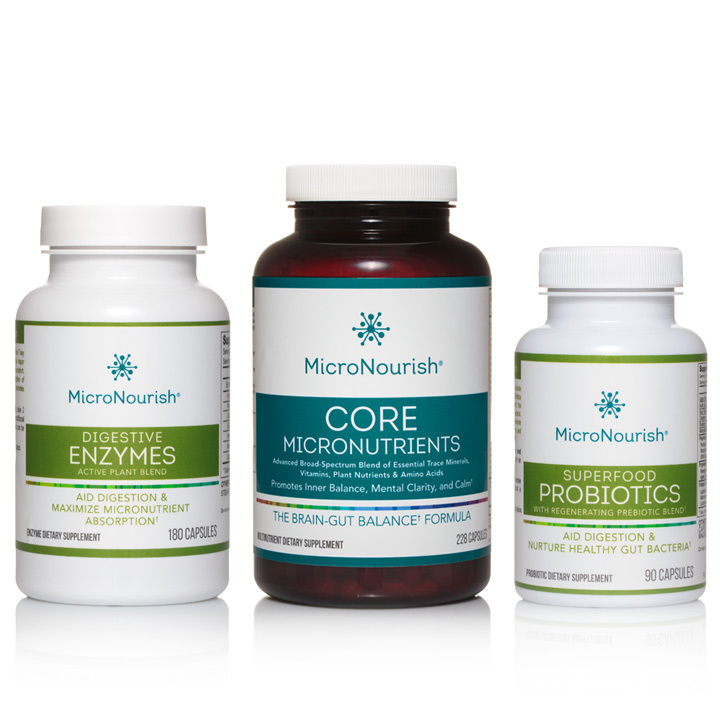 I have never felt better than since I started MicroNourish Core on a daily basis and I want everyone to feel that great! Imagine what we could all do if feelings were balanced, focused and calm on a daily basis, and if this was the norm – not the exception! Want to learn more about Nadia and MicroNourish?